When Stanford student Joshua Browder created ‘DoNotPay’, he merely wanted to appeal against parking tickets being issued without reason. Since its launch, the chatbot has helped overturn 160,000 parking tickets. But that’s not all that the bot, which describes itself as “the world’s first robot lawyer”, can do. Aside from parking tickets, DoNotPay also helps with compensation on delayed flights and trains, payment protection insurance, and housing for the homeless. Now, the chatbot is offering free legal advice to asylum seekers. The UK, USA, and Canada are among the top 5 countries with the highest number of immigrants. Every year, millions apply for asylum in these countries to get away from war, natural disasters or persecution in their native country. The process, however, is not simple. Many refugees do not understand the intricacies of the law and therefore, are unaware of how to apply. New immigration restrictions put forth by Donald Trump seem to make it difficult to get asylum in the US. Even Canada and the UK have strict policies that make it difficult for refugees to legally make the country their home. To battle all these issues, it is essential to have proper legal counsel. But, as you know, the fees aren’t pocket-friendly. Even a consultation with a lawyer can significantly cut into your savings. DoNotPay removes this hurdle by providing free legal advice and helping immigrants fill applications in the US and Canada, and refugees apply for asylum in the UK. DoNotPay works by asking users questions about their grievance. In this case, it would be an application for immigration or asylum. The chatbot also determines if the refugee is eligible for asylum protection by international law. 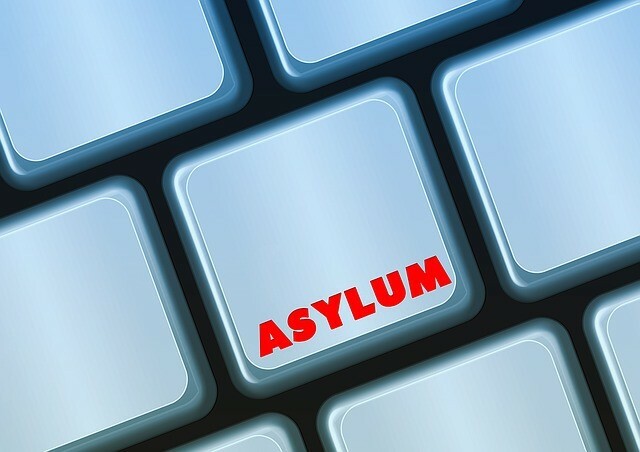 The details entered by the person are recorded and used to fill the necessary asylum forms. The bot has a user-friendly interface and is available in plain English. This makes it easy to use and understand as “legal” terminologies and the language in forms can be difficult to process by people who don’t speak the language fluently. The “robot lawyer” is accessible from any device, making it reach out to millions of people seeking legal aid. Currently, the chatbot runs on Facebook’s messenger platform, which explains its accessibility. While Messenger does not assure end-to-end encryption, Browder’s server and Facebook do. Security is also prioritized by ensuring user data is deleted from the system (usually within 10 minutes) once a form is sent. Browder aims to extend the bot’s support to other languages and platforms as well. He is looking at WhatsApp owing to its universal appeal and accessibility. Until its platform is available, he will have to stick with Facebook Messenger. DoNotPay is a useful tool for not just asylum seekers but also for lawyers and legal aid organizations. Asylum seekers can use it to understand immigration laws and follow all rules properly to ensure their application is successful. Legal aid organizations are able to help a lot more people and provide them a better home. Owing to the rapid growth of chatbot development in Singapore, a chatbot like DoNotPay can be created to provide aid to asylum seekers in Asia. This way, chatbots can be put to use for the greater good of humanity and make the world an inclusive place for everyone.